For many, the pièce de résistance of the Vodacom Unlimited Festival at Moses Mabhida Stadium on Friday 16 December will be the debut performance of Black Coffee’s AfricaRising project, conceived with media maestro, DJ Strat3gy. The buzz is that this two-hour set will be an extraordinary musical encounter, featuring the SA Music Award-winning hitmaker performing his well-known tracks and new material with a twist: he will be accompanied by a 23-piece orchestra, conducted by none other than fellow Durbanite Brendan Jury, and in a unique staging scenario designed to push the limits of stadium entertainment. Jury and Black Coffee have been hard at work, putting the finishing touches on new arrangements of the house supremo’s material. Expect richer, deeper textures and soundscapes, with Black Coffee exploring new facets to his music with the aid of the Johannesburg Philharmonic Orchestra and the Muses String Quartet. Joining this super-ensemble will be special guest vocalists performing Black Coffee’s mega hits: Tumelo (Rise and Shine), Tsepho (Never Saw You Coming), Vuyo (Don’t You Give Up), Bucie (Superman/Turn Me On), Zakes Bantwini (Juju), Zano (Someday) Thino (Crazy) Black Moses (The Chameleon), Soulsta (Rock My World), Marissa (Time To Go) Jacky (Masquerade) and Brothers of Peace (Sik’khuzile). Joining AfricaRising in rocking the grandstands of Moses Mabhida Stadium in the 12 hour house explosion are the superhot British artists of the moment Spiritchaser and Low Deep T, French DJ/Producers Rocco and Franck Roger, as well as Germany’s Ralf GUM. The big-hitting local DJ power churning up the decks will come from Oskido, Vinny da Vinci, DJ Christos, Black Motion, Andy X, House Afrika supremo Tim White and festival producer DJ Strat3gy. The festival marks the biggest and most spectacular development of the Vodacom Unlimited Experience, which has been bringing high-tech house parties to townships and major centres across the country, pumping up the volume of Cape Town’s heaving hip hop scene and rocking out with the alternative sounds of SA’s best bands. Now, this second stadium event for 2011, comes hot on the heels of the sold-out success of the first Vodacom Unlimited House Festival at Orlando Stadium in Soweto. Attendance is strictly limited to 25 000 people, so don’t delay and book today. 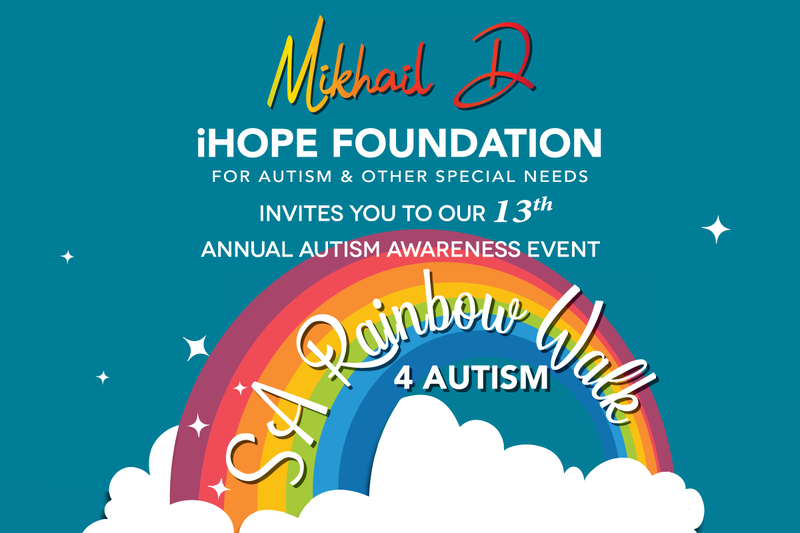 Tickets cost R150 and are available through www.ticketpros.co.za, with collection at PostNet outlets. 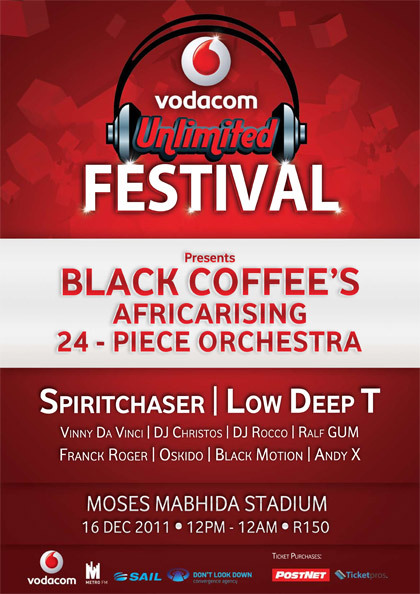 For updates and more details, check out Vodacom Unlimited on Facebook (https://www.facebook.com/VodacomUnlimited) and Twitter (http://twitter.com/#!/VU_Festival).